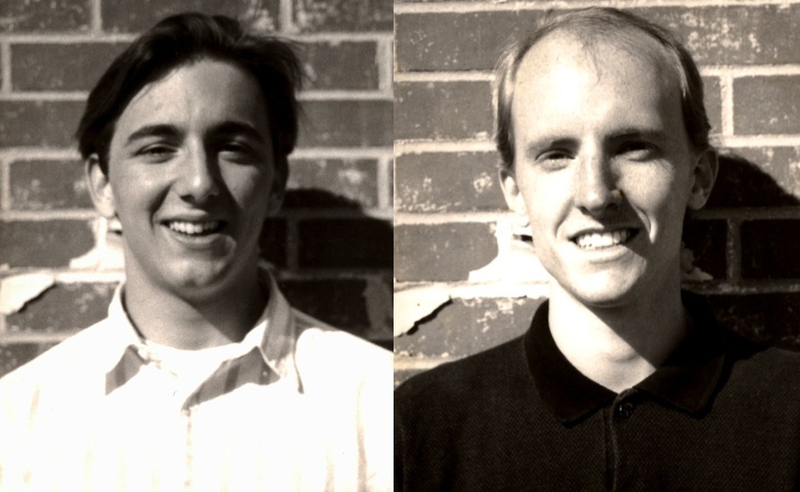 Chris White and Mark Allen perform "Cheever's Bench," 20 May 1992, McAlister Auditorium. Added on August 10, 2016 by Chris White. "Cheever's Bench" was a parody commercial inspired by a production of Arthur Miller's The Crucible at Furman University, February 1991, and written for the improv/sketch troupe, Idiom Savant. This version was voiced by IdSav members Chris White & Mark Allen, and recorded for "A Visit with Ms. Rosewater" radio program on WNCW, early 1990s. Chris and Mark rehearse "Cheever's Bench," May 1992. Chris White, Mark Allen — Spring 1990 — Idiom Savant photo shoot.